Sophisticated Golfer was the first travel company to offer dynamic ‘best of’ Puerto Rico golf tours since 2005. Our Puerto Rico golf travel program is unsurpassed in the world of golf tourism. The best of Puerto Rico golf tours work best for parties 4, 6 or 8 golfers sharing transportation. Accommodations with our Best of Puerto Rico Golf Tours depend on your group’s requirements and budget. Sophisticated Golfer recommends the newly renovated Rio Mar Resort featuring 2 golf courses of its own, the Gran Melia Golf Resort, and the 5 star St Regis Bahia Beach golf resort. The Itinerary below is based on staying at the Gran Melia or St Regis Bahia Beach. Customs versions with lodging at Rio Mar, playing more golf or staying more nights are available, just a phone call away, 1-877-288-9799. 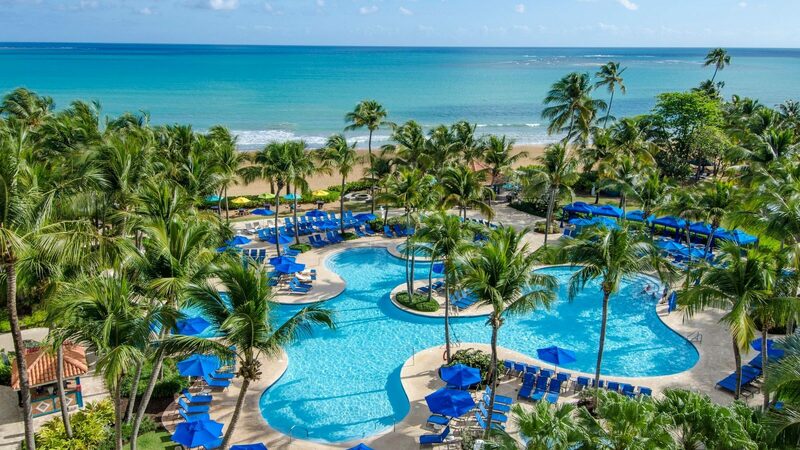 Begin your stay with arrival at San Juan airport (SJU) and prepare for transfers to your resort of choice on the east coast of Puerto Rico. Enjoy a greeting at the airport upon arrival by drivers arranging for private transfers. Check-in and begin your stay. Play Trump Puerto Rico Championship golf course and a morning golf time. Designed by Tom Kite with Bruce Besse, This course hosts the Puerto Rico Open each year an official PGA Tour event. Stunning views of the ocean and El Yunque rainforest are an added bonus as players enjoy golf in this tropical Caribbean paradise. Play Bahia Beach… Bahía Beach Golf Course is a scenic 6,979-yard layout overlooking the Atlantic Ocean, 80 acres of saltwater lagoons and the mountainous El Yunque National Rainforest. The course was designed by Robert Trent Jones Jr. Bahia Beach was created around a network of saltwater lagoons as fifteen of the 18 holes border some form of water, as the course takes a means being route around the lagoons before emerging onto the Atlantic coast for the final three holes. Play at Trump Puerto Rico International golf course. Designed by Tom Kite with Bruce Besse, both courses at Trump International feature awe-inspiring scenery as they wind their way through vegetation, over lakes and waterways. Both courses feature stunning views of the ocean and El Yunque rainforest. The tees are grassed in Paspalum, while the greens are grassed in Sea Dwarf paspalum. The Dorado East course is a classic Robert Trent Jones Sr. Design opened in 1958 and is still the top rated course in Puerto Rico. The course has also recently undergone renovations from the Ray Floyd group. It measures 7,000 and offers several holes playing along the Caribbean Sea. Originally, J.D. Rockefeller commissioned Robert Trent Jones to design the East course at Dorado for his private use. Play the dramatic new Royal Isabela Golf Links. The landscape’s native grasses, natural sand dunes and deep canyons are integral to the layout, while sod-faced bunkers add a Scottish flair to this island gem. These elements, along with trade winds shape the course’s character and captivate the golf purist. Overnight in luxury Casitas at Royal Isabela. Play Royal Isabela Golf Links. Royal Isabela is one of the most beautiful, challenging and interesting golf courses in the Caribbean so we recommend a second round. Enjoy the resort’s beautiful grounds and your Luxury Casita after golf today. 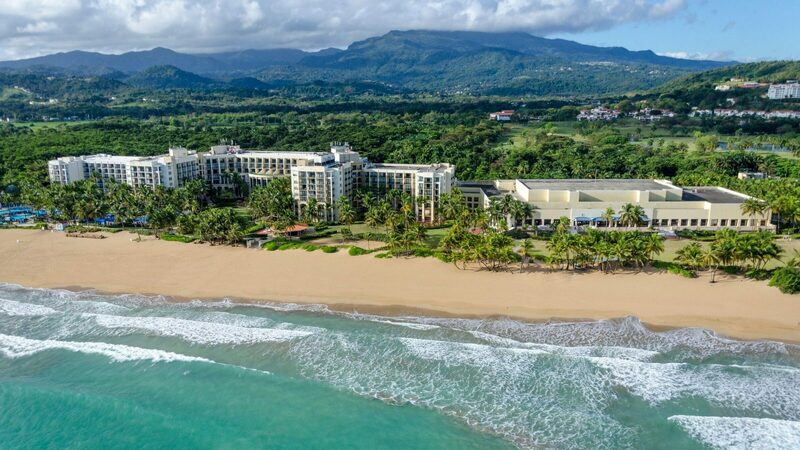 Check out of your accommodations at Royal Isabela and bid Puerto Rico farewell. Transfers back to SJU, San Juan airport are included with driver service. All Best of Puerto Rico golf packages can be fully customized.